The color of Purple Aventurine is provided by the Lepidolite contained within it. Purple Aventurine & Silver Bracelet. 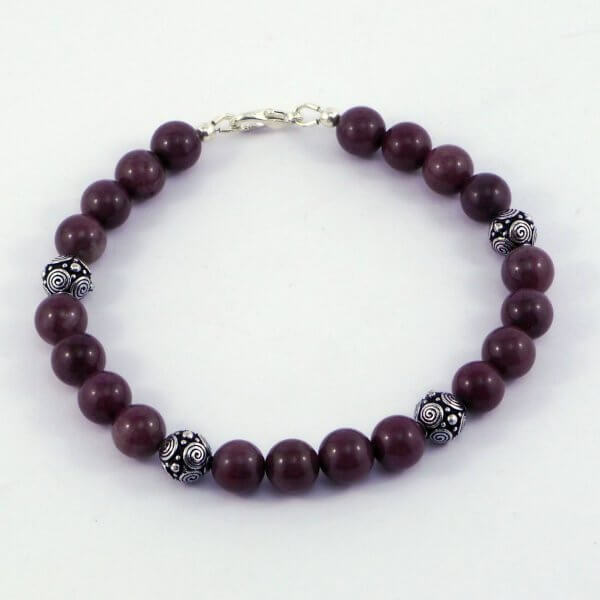 Four delightful highly patterned round antiqued silver beads are spaced between sets of Purple Aventurine gemstones to create this beautiful bracelet. Purple Aventurine is known as a protection stone and is used to support dream recall and interpretation. This delightful design measures approx 19cm and is finished with a lobster clasp.